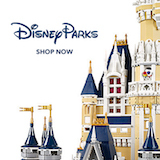 Resorts to Charge Grocery Delivery Fee - DVCNews.com - The essential Disney Vacation Club resource! A $6 delivery fee is now being charged to any guests who receive grocery deliveries at a Walt Disney World resort. The fee is charged per-order, not per-bag or box. One source indicates that the fee is only imposed if the items are actually delivered to the guest's room by a Cast Member; guests willing to claim their items at the bell stand will reportedly not be charged. Follow discussion of this new policy over at DVCinfo.com.